This template is designed to support customers see the menu, choose the best foods and find the location. A food truck can go to where the customers are. So this is the perfect tool to boost orders and communicate with customers. 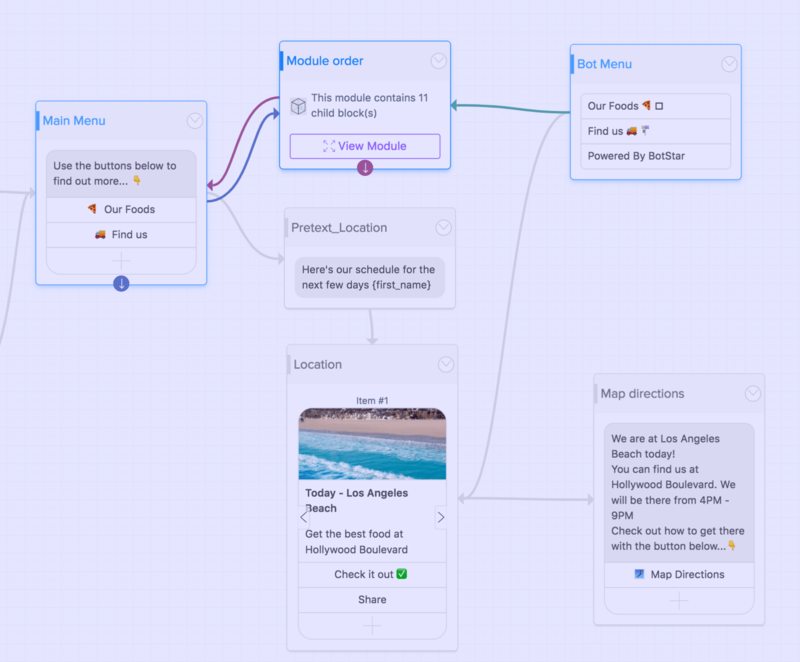 Using this template, you can easily build Food truck chatbot without coding, just add, remove and edit food services.